Horticap is based at Bluecoat Wood Nurseries where s a team of volunteers provide adults with learning disabilities training in horticulture, allied crafts and rural skills. 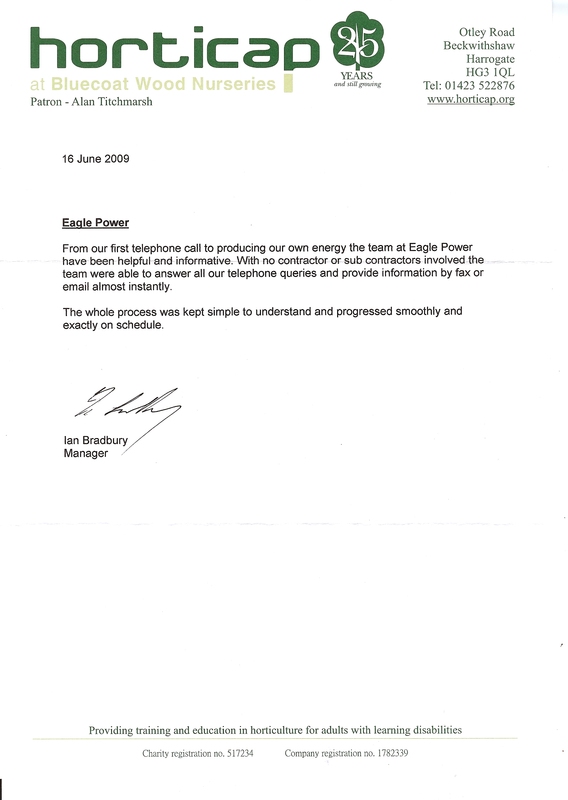 This entry was posted in Case Studies, News, Uncategorized and tagged Eagle Power, Horticap, Testimonial, Yorkshire. Bookmark the permalink.